A rich garnet red colour combined with a complex and highly structured aroma of sweet red and black fruits, make up this delicious wine. Well rounded and delicate, this wine brings out a velvety soft bouquet of black fruit and vanilla that spreads and concentrates on the inside of the palate. 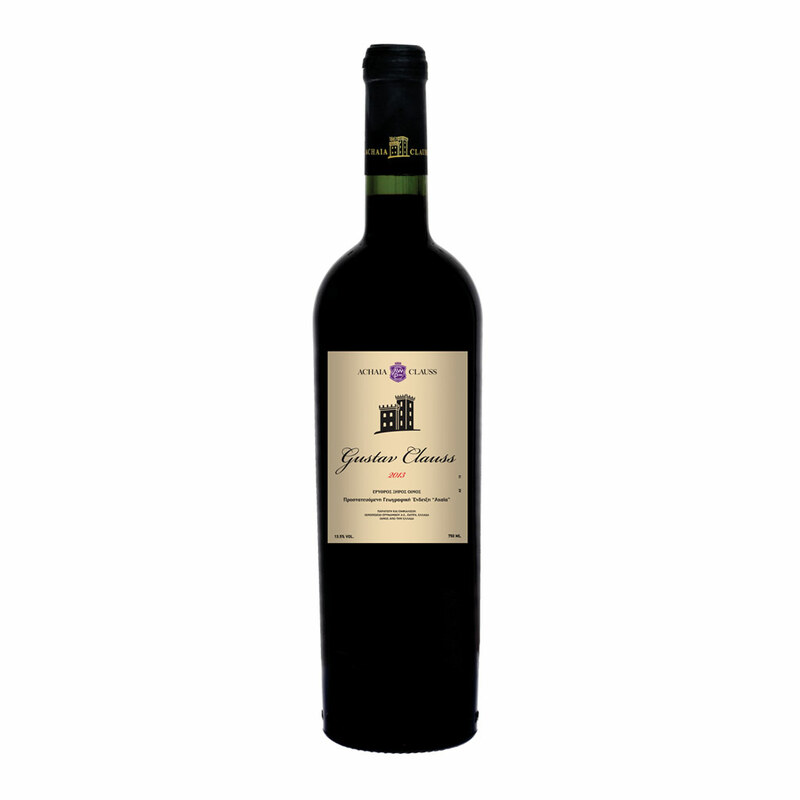 Perfectly balanced with adequate acidity and soft tannins, it leaves a long finish. Ideal enjoyed on its own, but can also accompany most red meat dishes as well as Greek cheeses. Serve at room temperature, 16-18°C. Vineyard at the Chateau of ACHAIA CLAUSS, on the slopes of Petroto. Destemming, breaking and then traditional red vinification with fermentation and simultaneous extraction at constant temperature, 22-24°C.